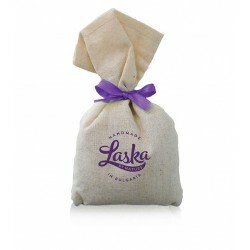 Held in Laska's signature gift box, bound by a satin ribbon, accompanied by a personalized note option. 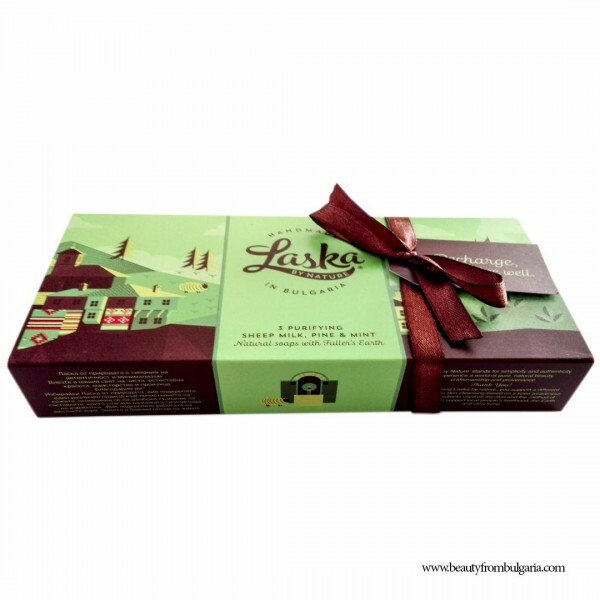 Treats to thrill body and spirit, celebrating the emblematic Bulgarian ingredients: sheep-milk and pure essential oils of pine and green mint. Tempt your wild spirit with the sensory experience of a pine forest drenched in warm rain. Revitalise your daily ritual with the wonderful knowledge that morning is all about new. Breathe in the aromas. Absorb the goodness of real soap. 3 bars of +/- 130g each because the soap is hand-cut, small variations in weight may occur. *Contained in the essential oils.